Our body is nothing short of an engineering marvel. The way it works and the way it responds to different stimuli is a huge area of continuous research, and yet there are many mysteries that remain unsolved to date. Humans have five senses: a sense of touch, sense of sight, sense of smell, sense of taste, and sense of hearing. Each sense has a pivotal role to play in our lives, isn’t it? According to science, the human sense of smell is far weaker than that possessed by other animals. Yet, it is good enough to identify thousands of smells, including odours – even if they are in very small quantities! Now, we all have experienced how some smells have a spellbinding effect on us, while some totally turn us off. In fact, our nose knows the fragrance of our favourite food and the moment we smell it, we are already dreaming about feasting. The fact that we respond to smells means that smells also serve as signals to the brain. Curious to know what effect smells may have on our brain? Read on to know more! Not many of us know this but the human nose is the primary organ responsible for the sense of smell as well as taste! The taste buds on the tongue can differentiate between only four tastes, i.e. sweet, sour, bitter, and salty. The tastes other than these four basic ones are distinguished by the olfactory receptors dwelling inside the nasal passage (1). Even if you look good, you wouldn’t feel good if you smell bad. Body odour can be a major turn-off to most people. The way the perfume ads depict the effect of a good perfume is not entirely “reel life.” Scientists believe that people might end up falling in love with each other based on how they find each other’s smells, according to a review published in the Frontiers in Psychology journal (2). Familiar smells instantly take us down the memory lane. Just as we have memories linked to pictures, tastes, sounds, and touch, we also have memories attached to certain smells. According to Psychology Today, the reason why we associate a smell with a memory is attributed to the structure of the brain. The smells coming inside are first decoded in the olfactory bulb that starts from the inside of the nose up to the bottom part of the brain. The olfactory bulb is connected to two significant areas of the brain (amygdala and hippocampus) that are associated with emotion and memory (3). A good smell can easily uplift your mood while a bad smell can put you off. The smell of coffee or your favourite ginger tea in the morning can be very soothing. While on the other hand, a foul smell such as a garbage truck passing by or a gas leak or some stale food can make one feel depressed and irritated. People who have a poor or no sense of smell tend to feel more depressed than the rest. A strong connection has been found between smells and emotions. 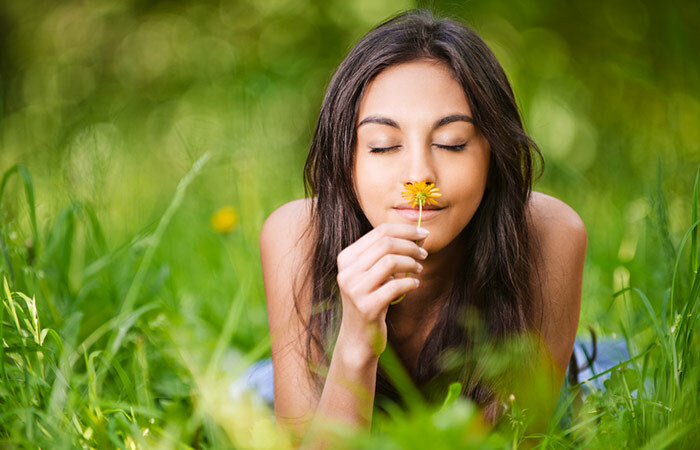 The lack of experiencing the bliss of smells restricts us from time reminiscing and feeling more emotions. In fact, an inability to smell different smells has been associated with schizophrenia (4). If you have had an accident or a mishap in the past, then being confronted with the same (or even a similar) smell, such as that when you walk into a hospital or that of alcohol, if you have a bad experience with it, it can put you into trauma. Sometimes you end up buying those cinnamon rolls although you just had a hearty lunch, sometimes you end up buying clothes or shoes that will sit pretty in your wardrobe for they were never your choice, sometimes you wonder as to how you ended up overspending! Well, blame it on the nose says an article published in Time. Retailers make smart moves by luring us by pleasing our sense of smell and this is known as olfactory branding (5). Smell has the power to transport you to a different world, make you feel attractive, and feel a pull towards someone who smells good. 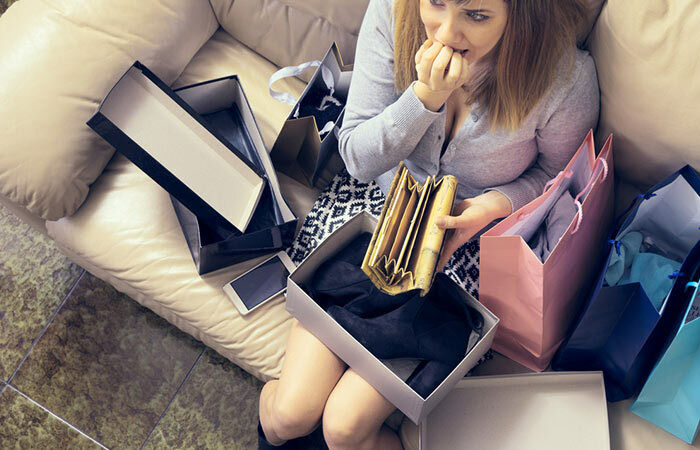 A good smell can also make you splurge on things you never needed or binge on delicacies despite being full. A good smell can instantly put you on a high. But, on the other hand, our nose can land us in trouble too. Imagine the smell of a food item that we so hate being thrust at us at a party, or the smell of garbage or foul breath and the negative effects it would have on our mood. Now that we know how powerful our nose is, we sure will find ways to keep a watch on it, won’t we? The post 7 Ways Smell Affects Our Mind appeared first on STYLECRAZE.